When you ask developers about the big challenges facing the real estate industry, they may point to rising interest rates or tax reform. Tech investors would rather talk about self-driving cars, big data or climate change. 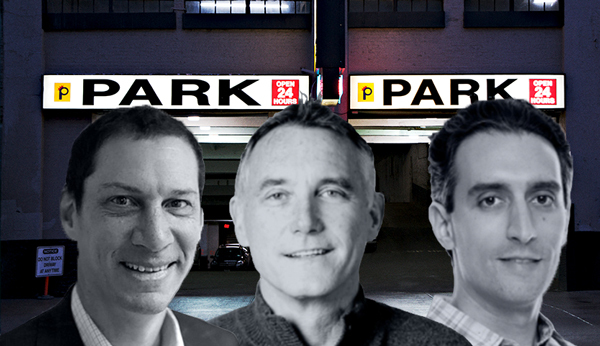 Jeremy Levine, a partner at venture investment firm Bessemer Venture Partners, argues that the rise of self-driving, electric cars will be the end of pricey Manhattan parking garages. “Operators of real estate will go from selling parking spaces to selling electricity” through charging stations, he said, speaking at a panel at the VTS Accelerate conference Friday. Self-driving cars, after all, don’t need to be parked in close proximity to your home because they can come to you on command. Jeff Horing of Insight Venture Partners countered that the future of self-driving cars is still far too uncertain and shouldn’t give property owners headaches. “Ecommerce and Amazon is the far bigger concern,” he said. Levine agreed that “it’s not clear what the timeline is” when it comes to self-driving cars. Parking spots in Manhattan have been disappearing even without the help of self-driving cars thanks to rising land prices. OpenView Venture Partners’ Scott Maxwell argued that the biggest challenge facing the real estate industry is something else entirely: climate change. According to him, the potential damage from a warming planet and rising sea levels is not yet priced into property values. “If I was an investor I’d be working on my models,” he said. All three panelists agreed that the real estate industry is still inefficient in many respects and that the use of machine learning and big data is likely to shake up the business. “Your ability to predict the future is going to be determined by how well you use data,” Horing said.